Now, before you run at me with pitchforks exclaiming that it’s way too early to be thinking about holiday orders, just hear me out: It really isn’t. I know that sounds like horrible “take my word for it” reasoning, but if I wanted to bore you with all of the reasons why, I probably wouldn’t be the person writing these blog posts in the first place. Instead, let’s just talk about food. (You’re welcome.) 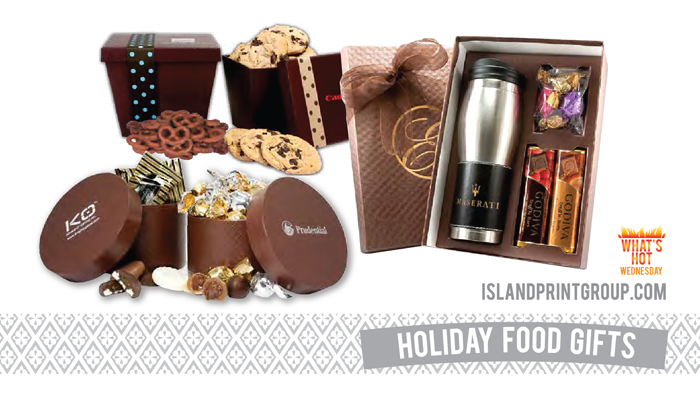 Holiday Food Gifts, to be exact. Here is an awesome gift guide, but I’ll highlight a few things in it for you, if you’re looking for the cliff notes. 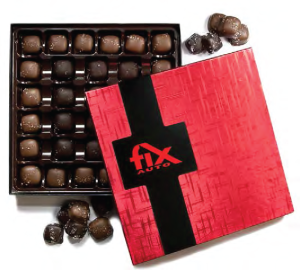 A combination of mouth-watering milk and dark Sea Salt Caramels packaged in a red foiled box and decorate with a 1-4 colour process band that can be imprinted with your logo. Look at how good these look! Now, I know that doesn’t sound the most appetizing, but just wait: Nuts and Sweets, Tube of Popcorn, Gum Drops and Sour Patch Kids and Gummy Bears… You can’t tell me that THAT isn’t appetizing. Four different types of pretzels for the ultimate pretzel lover. 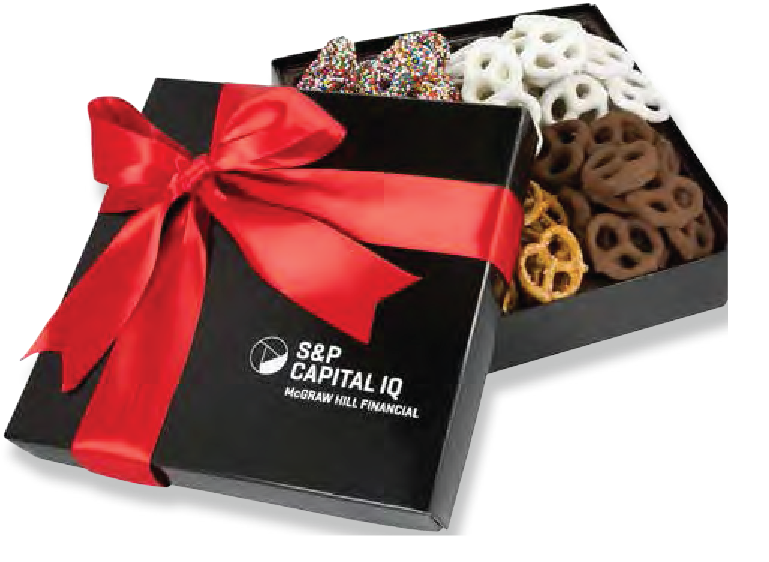 Confections include 4 of our best sellers: Plain Mini Pretzels, Chocolate Covered Mini Pretzels, Yogurt Covered Mini Pretzels and Rainbow Nonpareil Mini Pretzels. Yesssssss please! 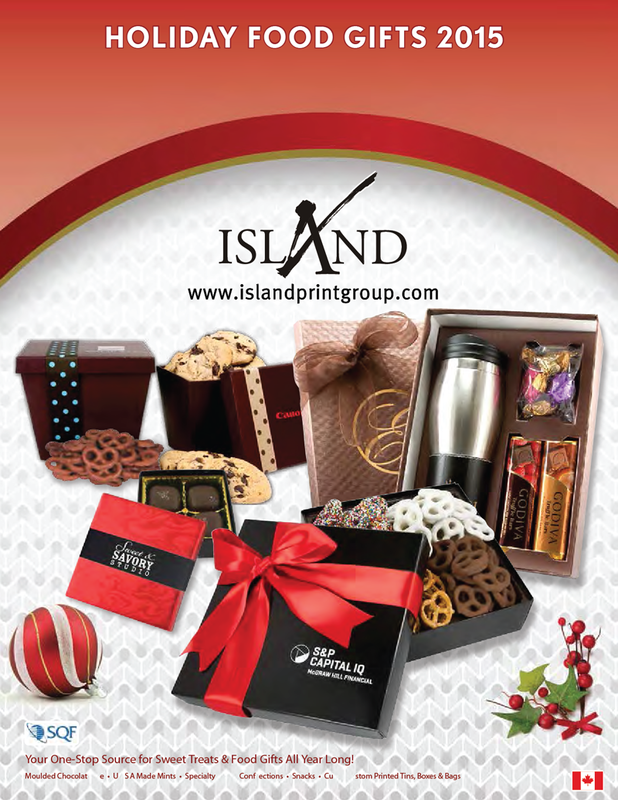 There are also Collector Tins, Greeting Card boxes, Supreme Treats Box, Customized Candy, Hat boxes of truffles or cookies, Popcorn Tins, Godiva Chocolate Sets and so so many more amazing holiday food gifts available! 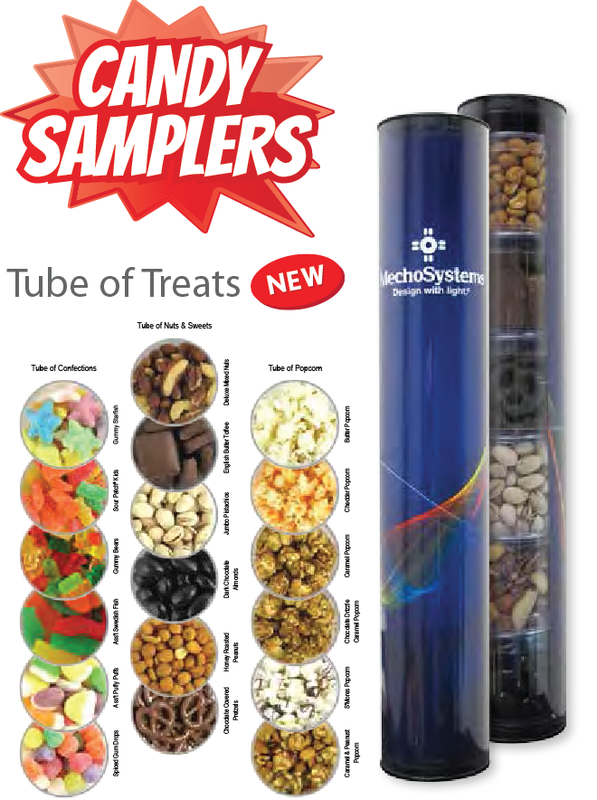 Don’t forget to check out the catalog for yourself! There are more tantalizing pictures inside. Click below!